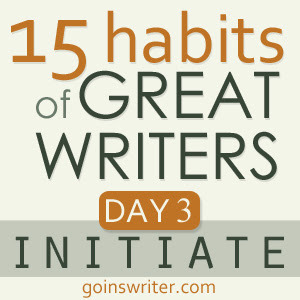 It is now Day 3 of Jeff Goins' Great Writer's Series and it began with yesterday's challenge to wake up 2 hours earlier than our normal time to write. My anxiety must have been on overdrive because I woke up at 5:13 a.m. instead of 6:15 a.m. 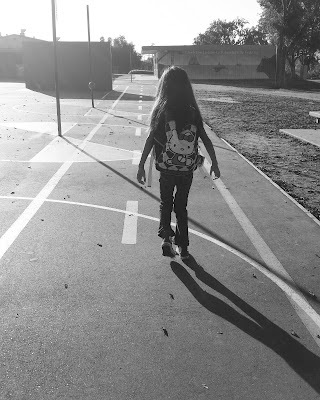 I wrote for an hour and 45 minutes about believing in my abilities to write and write well. Although I was bleary eyed and sluggish I copiously wrote in my journal. (See my entry on Day 2.) I won't fake the funk and say it was easy but I learned that I needed to be intentional about creating time and space to write. Discipline is key. Today's challenge is to initiate. To "start something you’re scared of. Maybe it’s a book, an article for a magazine, or something else. All I want you to do is begin." I've reached an impasse. I'm at a loss for endeavors I'd like to initiate that causes fear in me. Four years ago I started my photography business with knots in my stomach and it's been a continuous journey of high roads, easygoing trails, bumpy paths, and deep ditches. That venture carried its weight in fear and sometimes it still does. Although I've toyed with the idea to write a book or an article for a magazine it hasn't been a burning desire recently. All day today I've sat and pondered about what I would start because again, it HAD to be something profound that I could share in cyberspace. If I write a book what topic would I write? Fiction versus non-fiction? After people have listened to stories of my past I'm often told I should write a book about it. But I haven't felt compelled to write a book about my past experiences. Who would read it? So what magazine would I want to write an article for? Maybe guest post on another person's blog? Okay, whose blog? On Day 3 I find myself in a quandary. Let's see what tomorrow brings.